Wall Street Bailout Bill Needs to Help the Little Guy! Looks like the economy is bad shape to say the least. The President, Presidential-Hopefuls and members of Congress all pay lip service to this $700 billion Wall Street bailout, helping the little guy. However, this bailout as it currently stands does nothing to help the homeowner with a loan in or facing foreclosure. People in this situation can not refinance their mortgage and the housing market is so depressed and devalued the stressed and over extended homeowner can not sell their home. 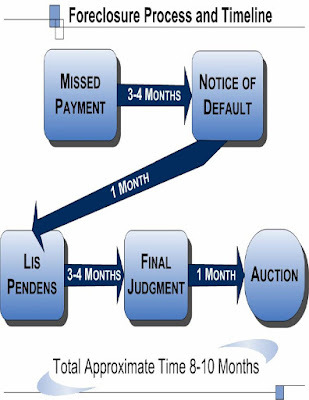 What is needed is the ability of the Bankruptcy Courts to restructure primary residential loans in a Chapter 13 Bankruptcy. The Court needs the ability to rewrite the terms of these bad and unaffordable loans. The ability of the Courts to restructure the loans will greatly increase the likelihood of repayment. Court supervised restructuring of primary residential home loans is the only way to truly help the little guy in this bailout. The ability for the Bankruptcy Courts to rewrite primary residential mortgages will not only help the little guy, but also Wall Street and soon all tax payers when the government buys all these loans. How, you may ask? With more people repaying their loans instead of turning in the keys fewer homes will be foreclosed. Thus, with a lower number of homes on the market for sale hopefully the property values will begin to trend upward. I am a member of the National Association of Consumer Bankruptcy Attorneys, below are key points they are trying to stress to law makers who are today considering this Wall Street bailout. Why should a Wall Street CEO be able to restructure their vacation home’s mortgage in Bankruptcy, but the guy on Main Street is not able to restructure the loan on his primary residence. This is against public policy and makes no sense to many Americans facing the loss of their home. Without the ability of the courts to restructure these bad loans more and more families are truly going to be on Main or some other street. Please call, fax or email your members of the House and Senate and urge them to support a court-supervised mortgage restructuring amendment in the Wall Street bailout bill. * The rapid deterioration of the financial sector has been fueled by the steep rise in delinquencies and foreclosures of risky mortgages. * These mortgages have been sliced up and sold in complex financial instruments that now sit as "toxic assets? on the balance sheets of our largest banks. * Every financial expert, including Treasury Secretary Paulson and Federal Reserve Chairman Bernanke, agree that we will not stabilize our financial markets until we stabilize the housing markets. * The housing market will not stabilize absent a solution to the tide of foreclosures. * Simply giving a government entity the authority to purchase the "toxic assets? of troubled financial institutions will not result in fewer foreclosures. This is complicated, but the basic problem is that the government will not be buying mortgages ...those mortgages have been carved up and sold to investors all over the world. The government essentially would have to put all the pieces back together to modify the loan, which just is unrealistic. * Court-supervised mortgage modification in Chapter 13 bankruptcy is perhaps the most effective tool for ending the foreclosure crisis. * Court -supervised mortgage modification will not cost the U.S. taxpayer one penny, but will keep families on Main Street in their homes. It deserves your support in the taxpayer funded bailout of Wall Street. Reuters reported today that the U.S. Court of Appeals for the Eighth Circuit in St. Louis declared unconstitutional a section of the U.S. bankruptcy code that prohibits attorneys from advising their clients on taking on more debt prior to filing bankruptcy. The 2005 Bankruptcy Reform, made it illegal for a bankruptcy attorney to advise a client to refinance their home or buy a new vehicle prior to filing bankruptcy. Sometimes taking on more debt is a good thing, but prior to this ruling a bankruptcy attorney could not fully inform an individual seeking guidance and advice on filing bankruptcy. The Florida Bar News reported in their August 15, 2008 edition that foreclosures in Florida are increasing at a alarming rate to say the least. "According to the Office of the State Courts Administrator, real property/mortgage foreclosure filings in Florida court have risen from 59,907 in Fiscal year 2004-'05 to 274,084 in 2007-'08." That is a 358% increase over the past three years. Erich M. Niederlehner, local Pensacola Bankruptcy attorney, appeared on ABC's WEAR Channel 3 Pensacola, on July 11, 2008 to discuss and comment on the Florida Bar's FLASH Hotline which was created to help Floridians facing foreclosure get their mortgages reinstated with their lenders. Florida is second in the nation in foreclosures with approximately 77,000 so far this year. What can you do if you are a few payments behind on your mortgage? First contact your lender. Do not sit around hoping it will go away. Contact your lender and explain your situation. Ask for your missed payments to be put at the rear of your loan and be loan be brought current. Ask if they will accept a little extra each month in order to bring your loan current. See if there are other option available. If you do not ask you will not receive. If you are unable to work out something with your mortgage holder and they do end up foreclosing on you, take action. See an attorney about defending your foreclosure. Make sure the mortgage company is not taking advantage of you by tacking on junk fees, make sure the company suing you actually can prove they own the mortgage and are entitled to relief, fight back and defend the mortgage foreclosure. By defending the mortgage foreclosure you may be able to buy yourself more time to bring you mortgage current. Lastly, you may be able to file Bankruptcy to end the foreclosure and bring your mortgage current. A Chapter 13 is a repayment plan that will allow you to pay your mortgage plus any money left over after subtracting your necessary monthly expenses from your net monthly income and using that money to bring you current on your mortgage during the course of the Chapter 13 repayment plan. The Attorney General has come through for Florida Homeowners wanting to defend against a residential foreclosure action, and has exempted attorneys who provide legal representation to homeowners facing foreclosure by declaring attorneys are not foreclosure rescue consultants, as defined in 501.1377. The action taken by the Attorney General's Office should provide the needed fix until the next legislative session where 501.1377 can be amended. Below is the Attorney General's Office statement released on July 10, 2008 - Pursuant to the Attorney General's authority under Section 501.1377(2)(b)2, Florida Statutes (2008) -- created by HB 643 -- General McCollum has approved for exclusion from the definition in that provision of a foreclosure rescue consultant, "a person licensed to practice law in this state, when such person provides legal representation to a client with respect to a foreclosure." Trying to Sell Your House? Good luck, you will need it! So have you seen all the for sale signs around town, got one in front of my house. Not many sold sign on those for sale signs, are there? Maybe the reason there are not many sold signs going up is because existing home sales dropped to their lowest levels in February. The Associated Press reported the National Association of Realtors says pending U.S. home sales fell to the lowest reading on record in February, signaling the housing market distress is not yet over. The Chicago-based group's seasonally adjusted index of pending sales for existing homes fell to 84.6, which was 21% below year-ago levels. Wall Street economists surveyed by Thomson/IFR had predicted the index would inch higher. An index reading of 100 is equal to the average level of sales activity in 2001, when the index started. What is the difference between a Recession and Depression? I was sort of watching the morning news as I was getting ready to come into the office this morning. As a tease right before commercial break the news program put the front page of a newspaper on the screen that stated the U.S. economy was going into a depression not a recession. While I did not get to see the actual segment to see what they said, I wanted to try and explain the difference between a recession and a depression. This is not an easily answerable question, because there is not a single definition that is universally agreed upon amongst economists. Ask 10 different economists the definition of a recession or depression and you will get 10 or more different answers. An old saying among economists is that a recession is when your neighbor is laid off from his job, and a depression is when you are laid off from your job. This is probably the way most Americans feel and define the difference. Probably the most widely used definition of a recession is a decline of Gross Domestic Product (GDP) for two or more consecutive quarters. However, some economists feel other economic indicators should be taken into account such as consumer confidence, wholesale and retail sales, unemployment and other economic indicators. Also, some economists feel by defining a recession by two consecutive quarters of decline it is hard to determine exactly when a recession begins. A depression prior to the Great Depression, was any downturn in economic activity. Thus, now a days a depression is a recession that lasts longer, has a larger decline in business activity than a recession. If the GDP declines more than 10 percent it is probably a depression and not a recession. So basically if it is real bad economic times for a real long time you can stop calling it a recession and call it a depression. Well, I hope the above is somewhat helpful in sorting out what our economy may or may not be doing. I guess in the end if it feels like bad economic times to you, it really does not matter what label an economist puts on it. Tough times are tough times no matter what the times are called.